More than 800 people turned out for a United Way of Metropolitan Dallas event this spring at the Bomb Factory, a warehouselike downtown music venue. On a stage that’s been home to acts like Young Thug and Slightly Stoopid, five nonprofit “social entrepreneurs” pitched their work, à la television’s Shark Tank, to celebrity judges, including Dallas philanthropist Lyda Hill and NBA star Harrison Barnes. At stake: $100,000 in prize money for their venture. Reinvention was an unspoken theme of the evening. The Bomb Factory began life in 1914 as one of Henry Ford’s first auto plants, then morphed into the World War II munitions factory that inspired the nightspot’s name. The Dallas United Way, founded a decade after Mr. Ford’s assembly line, is itself undergoing a makeover to stay relevant as it nears its 100th anniversary. The goals: reimagine the workplace-giving campaign, win the hearts of millennials, and find new revenue. Perhaps most important, the organization hopes to add sizzle to the United Way brand, which some view as tired. Innovation and entrepreneurship are to be its calling cards, even if that irks the nonprofit old guard. “We’re reinventing the United Way most people thought they knew,” says CEO Jennifer Sampson. Some might cringe at hype-heavy promotions like the Bomb Factory pitch contest. But since Ms. Sampson took the charity’s reins in 2011, the total of pledges, contributions, and grants is up 44 percent and approaching $75 million, even as giving to United Ways in other cities is slumping. Big gifts are pouring in to a campaign to raise $100 million for the organization’s endowment. If the campaign is successful, Dallas would have one of the largest nest eggs in the United Way network. By all accounts, it’s Ms. Sampson who’s pushing the Dallas United Way out on the limb of experimentation. A certified public accountant who logged 10 years at Arthur Andersen early in her career, she’s bundling for-profit ideas and philanthropy innovations into United Way’s traditional formula. Borrowing a tactic from traditional big-gift fundraising, Ms. Sampson persuaded two Dallas philanthropy doyennes to put up $1 million each in a naming gift to endow her position — something United Way Worldwide officials believe is a first. Ms. Sampson and her board also set up the organization’s first donor-advised fund to accept a $1 million gift from former Dallas Cowboy star Troy Aikman. The Hall of Fame quarterback will chair the organization’s workplace-giving campaign this year, giving the effort high-wattage star power after a long line of corporate CEOs. Perhaps the shiniest of the group’s many new ideas was on display at the Bomb Factory that night. The five nonprofit leaders vying for the $100,000 were all part of the Dallas United Way’s GroundFloor program, which operates like a business accelerator to identify, fund, and support promising social entrepreneurs — something not typically done in the United Way network. GroundFloor, in Ms. Sampson’s eyes, is one of the organization’s most exciting new projects. Under the typical United Way funding model, the group can’t back new ideas, she says; only charities with a track record can earn support. GroundFloor, however, makes the venerable charity a scout for promising ideas and hot talent. Fellows in the four-year-old program include a former NFL player who developed a fitness program for severely disabled people and a chef who opened a nonprofit restaurant staffed by young men and women recently released from juvenile detention. Officials from the Draper Richards Kaplan Foundation, which is renowned for its venture- philanthropy with early-stage nonprofits, met with GroundFloor fellows, looking for individuals to back. CEO Jim Bildner came away impressed by the talent and the program. Ms. Sampson came to the United Way executive team from Arthur Anderson in 2001. When she was named CEO a decade later, there was a lot of talk about her gender: The mostly male chieftains in the Dallas corporate world would, for the first time, negotiate workplace-giving partnerships with a woman. More important, Ms. Sampson is a homegrown product. She was born in Dallas and grew up in nearby Arlington, not far from the Cowboys’ stadium. Her father, a dentist, had been the son of an oil-rig roughneck and the first in his family to go to college; her mother was an English teacher. In high school, Ms. Sampson doubled as student-body president and homecoming queen. At Baylor University in Waco, she won a second homecoming crown and earned a degree in accounting.She and her husband, Edward Sampson, a trial lawyer, have a 10-year-old son. Upon her promotion to CEO, Ms. Sampson had to confront a years-long slide in donor numbers, though contribution totals were steady. Also worrisome: Contributors increasingly were earmarking gifts for a particular charity, leaving the group with fewer dollars for its work and grant making. Under Ms. Sampson, the charity aggressively moved to diversify revenue. Government grants are one answer — the organization has raised nearly $12 million in public dollars in the last five years. The endowment campaign is another, with Dallas United Way now asking major donors for some of the big money that often goes to hospitals and universities. Today, the organization raises 28 percent of its revenue outside the workplace-giving campaign — up from 3 percent in 2011. Ms. Sampson is also focused on the young workers at the many corporate giants headquartered in Dallas, like Texas Instruments, AT&T, and Kimberly-Clark. Millennials, she says, aren’t inspired by the traditional workplace-giving campaign, a once-a-year event where the boss might lean on subordinates to ante up. Ms. Sampson set out to establish United Way as the go-to brand through which the Dallas area’s socially minded younger set could scratch its itch to do good. In Ms. Sampson’s shorthand, the goal is to introduce United Way to the thousands who don’t know the group’s work, then turn these new acquaintances into “doers” and later donors. One new effort for “doers”: community-service events staffed and often led by the rank-and-file at United Way’s corporate partners. These are spearheaded by Kit Sawers, the charity’s chief development officer, who joined United Way in 2015; she’s known locally as the “queen of events” for orchestrating celebrations when the Dallas area hosted the 2011 Super Bowl and the 2014 NCAA Final Four. The organization’s definition of “doers” is a modern one, however. It has run several digital campaigns that include a call to action and an appeal for a small donation — $5 for a hunger program, for instance. None was a big hit until the organization turned to online voters to decide which of 17 GroundFloor groups would vie for the $100,000 prize on the Bomb Factory stage. The charity uploaded videos of all the contenders, which mobilized their social networks to cast ballots. A key difference from previous campaigns: The ask was for a vote, but no money. The monthlong campaign netted 80,000 votes as well as 24,000 email addresses for United Way — contacts for new potential “doers” and donors. Raised on audience-participation shows like American Idol, the millennials in corporate cubicles apparently loved it; at Deloitte, departments within the company adopted GroundFloor fellows and competed against each other to generate the most votes. One young Deloitte employee pledged $10,000 to United Way — a rare gift of that size from someone under 25. The charity’s makeover hasn’t come without controversy. Just before Ms. Sampson became CEO, the United Way narrowed its grant making to just three areas: health, education, and poverty. It invited all comers but for the first time made the process competitive. ‘United Way Sacks Santa’ is how one TV broadcast headlined the story of a toy drive’s funding. As part of the funding change, the organization introduced measures by which it will annually assess whether its work is paying off in those priority areas. The measures are too broad to accurately reflect United Way’s direct impact; for instance, one focuses on the number of individuals moved out of poverty permanently, a statistic affected by any number of factors. 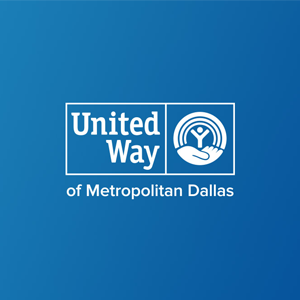 Yet the effort signals a shift in mind-set: Dallas United Way is now committed to moving the impact needle, however it can. Generally, it will do that through the established, local nonprofits that United Ways traditionally support. But not always. For example, the organization is recruiting successful nonprofits from afar to set up in the Big D. The first, the Boston-based education group City Year, arrived to great fanfare; Margaret Spellings, the secretary of education during President George W. Bush’s second term, spoke at a kickoff event. Similarly, the United Way’s high-profile promotion of start-ups means stalwarts of past United Way campaigns may get less attention than they once did. Some veterans grumble about the attention lavished on GroundFloor fellows, says Maria Dixon Hall, who teaches nonprofit management at Southern Methodist University in Dallas. Nonetheless, Ms. Dixon Hall adds, the United Way is forcing others to adapt to the new philanthropy marketplace. She herself has modified her coursework to include study of social innovation. It’s no coincidence that one of her former students, Brittany Underwood, is a GroundFloor fellow. “Brittany dragged me kicking and screaming into social innovation, but now I’m a champion of it,” the professor says. Ms. Sampson says the organization continues to promote older groups. During its giving day, she notes, it highlighted the work of the Salvation Army, Meals on Wheels, and other established charities. And the organization’s $1.3 million investment in GroundFloor pales compared to the tens of millions distributed through its traditional grant making.